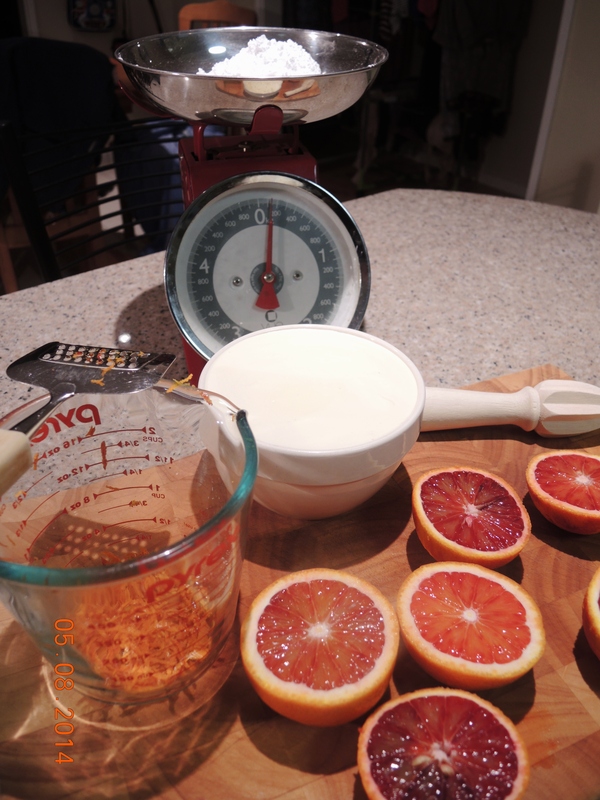 A friend asked me on Facebook if I could make a blood orange ice cream for her, as she’d been to the markets and bought some blood oranges. 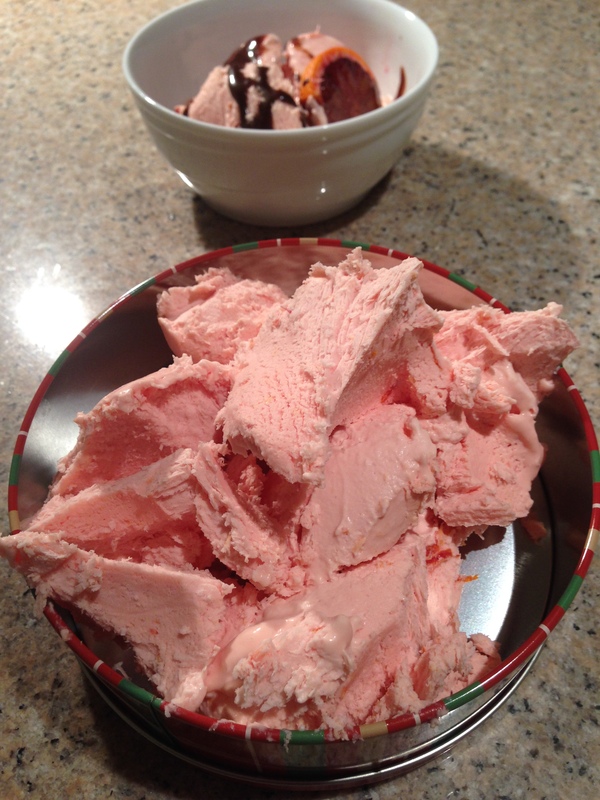 I still had quite a few of my RedBelly Citrus blood oranges and was keen to make ice cream, as I’ve never bothered trying before. Who has an ice cream churner in their pantry? Not me, that’s for sure. This is a pretty simple recipe, and you can find many of them on the interwebz if you want different flavourings and ingredients. Pour the juice, the zest and the icing sugar into your mix master and mix until the sugar has dissolved, this prevents a grainy icecream. 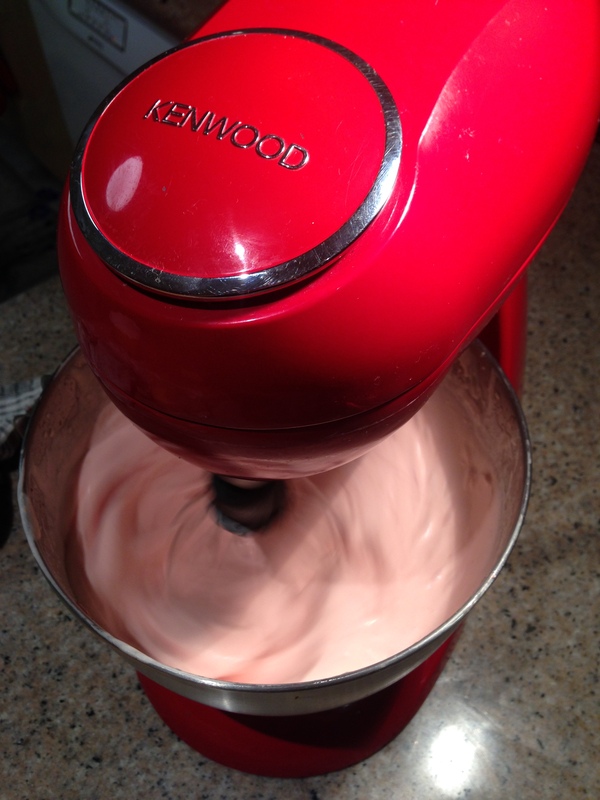 Add the cream and whip til the pink tinged cream is thick and stands to a soft peak. Don’t over whip or it might separate. 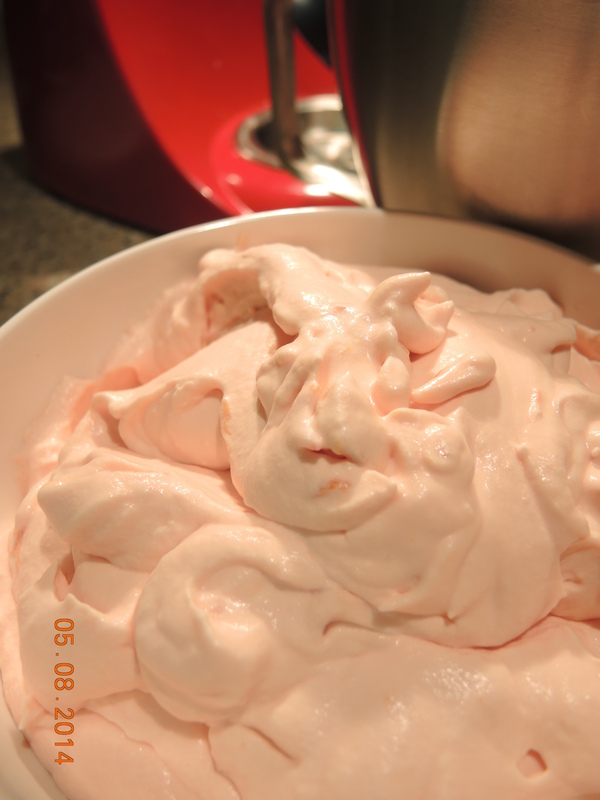 Pour the billowing, citrusy pink clouds into a bowl that has a lid so it can go into the freezer. Freeze for a minimum of 5 hours, and take out of the freezer about half an hour before you want to serve it. Scatter, delicately, some freshly zested zest and scoop out into a bowl. Tweenie decided she wanted a bowl of Jaffa’s, so poured over chocolate topping. And here is the container of ice cream for my friend. I mentioned jelly, didn’t I. Well, the mulled wine jelly post is coming shortly. I don’t eat jelly, but just look at the colour of this wibbly, wobbly, wonder of pure wobbliness, oh my! Wow!!! Looks divine..craving some right now. 😀 So easy to make, you should! This looks AMAZING Fran!! Well done! Thanks Susan. I will admit I only had a spoonful, and it was nice. I’m not a dessert lover, but the kids loved it. Dang girl…. This looks OH soooo Fine!! !